All 4 sessions of the workshop will be in 'Sofia Conference Hall', Floor 2. The registration desk is in the Hotel lobby. The dinner for the e-IRG workshop participants will be in the restaurant "Happy Village" on 14 May 2018 at 19:30hrs. Here is the google map walking distance from the Grand hotel Sofia to the restaurant. On the second day of the workshop there will be a lunch for all workshop participants from 13:00 - 13:45 in the restaurant of the Grand Hotel Sofia. Bus routes 84 and 184 connect Sofia Airport Terminals 1 and 2 with the city centre (Gen. Gurko Str.). Bus stop "ul. General Yosif Gurko" (last stop of the route) is approximately 750 m away from Grand Hotel Sofia (10 min-walking distance). The journey time from the first to the final stops of 84 and 184 bus routes is approximately 45 minutes on weekdays. Price of a one way ticket for bus/metro is 1.60BGN (1 EUR = 1.95583 BGN). Single metro ticket can be bought only before the trip. Unlimited number of trips for one day is available for 4.00 BGN (~2 EUR). Sofia Metro Line 1 (see Metro stations' map) connects Sofia Airport (from Terminal 2) to the city centre and provides direct connection from the airport to the large residential complexes. The metro station at Sofia Airport is located in the eastern part of Terminal 2. You can reach it by following the floor markings in blue at the public area of Terminal 2. 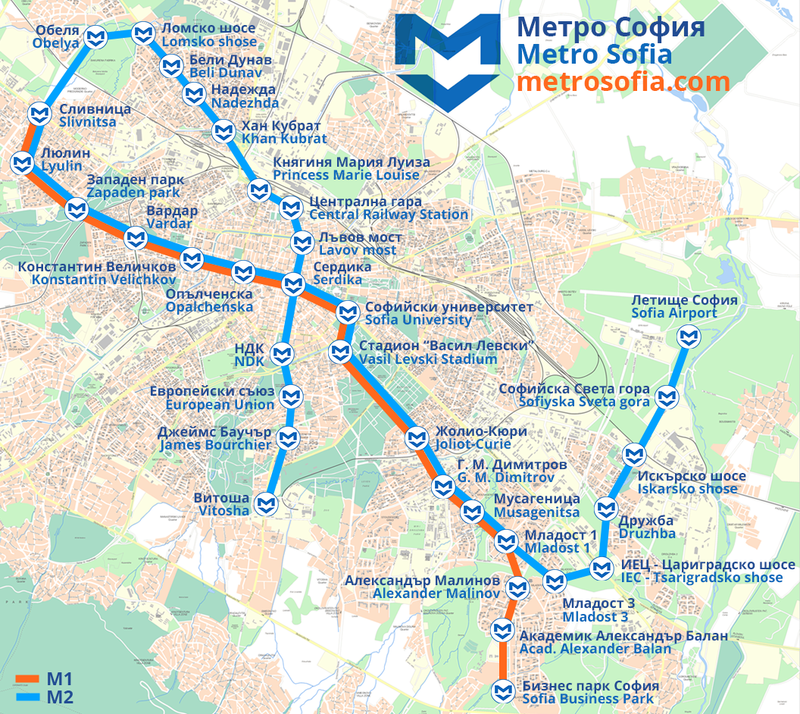 "Serdika" metro station is the closest to Hotel Sofia (8-9 minutes walking distance). The journey time from Sofia Airport to the city centre is approximately 18 minutes. The other alternative to reach the hotel is to go by taxi (5-10 minutes ride, depending on the traffic). The journey is 10 km and approximately 15-20 minutes ride, depending on the traffic, with a price around 10 EUR. If you decide to take a taxi from the airport, you can pick up a taxi vehicle in front of the building (right side). There are also unofficial taxi drivers who offer their services (sometimes aggressively), but we strongly advise you to avoid them. Please find below a list of recommended hotels. Please book as soon as possible. See booking.com or other booking sites.